Almost everyone I know has heard about John Gottman and the Four Horsemen. When I say almost everyone, I’m talking about friends, couples in my practice, Lyft drivers, and people I strike up conversations with on airplanes. John Gottman and the Four Horsemen have crept into the culture. When one of us mentions the Four Horsemen, we try to list all four, giving special emphasis, of course, to contempt. Gottman is known for the Four Horsemen, but also how, in a healthy relationship, each negative exchange during conflict is balanced by five positive ones. He calls this the magic ratio. Okay, he’s also known for being able to predict after a few minutes whether newlyweds will still be together in ten years. Malcolm Gladwell made sure of that when he wrote Blink. The list goes on. 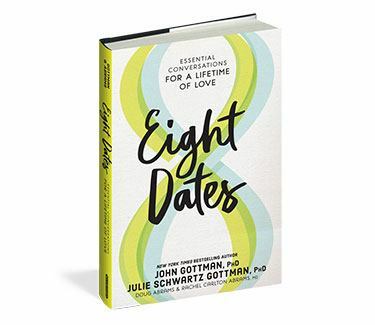 Further down on the list—too far down to my liking—are two of my own favorite Gottman ideas. I want to tell you about them. I think they deserve at least equal airtime. The first is the idea of repair. The picture that jumps into my mind when I think of repair is of a husband, described by Gottman, who interrupted an angry escalation with his wife by smiling in a goofy way. Immediately the atmosphere changed from growing anger to bemused friendliness. That’s the whole ballgame: how to deal with the inevitable difficult moments that come up in a relationship, what Gottman calls regrettable incidents. I don’t mean learning to give goofy smiles. I’m not sure I would know how to do that. I mean finding a way to stop the downward spiral and, failing that, having an effective recovery plan. Repair can take the form of a softened voice, nonverbal gesture (goofy smile), peace offering (“Shall I make us a cup of tea?”), tension-breaking laugh, self-denigrating joke, friendly appeal (“Let’s delete and redo”), or disarming acknowledgment (“I know what I’m saying is unfair” or “I know I’ve got that tone”). 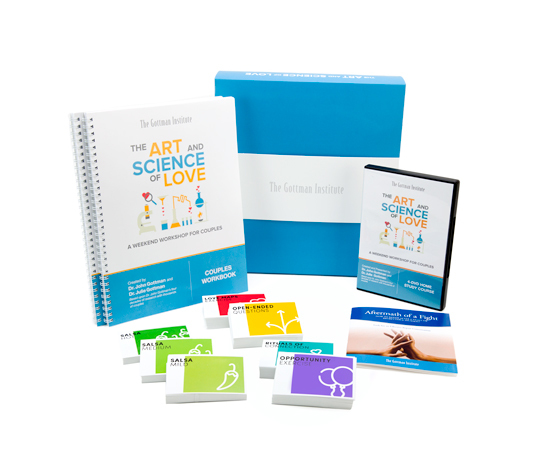 My other favorite Gottman idea is that of emotional bids. In a relationship, each partner has their own ways of reaching out to the other, whether by approaching the other romantically, with words or touch, or by sharing a thought. When a partner makes such a bid, the other one can turn toward, away, or against. When I think of emotional bids, I think of the husband, described by Gottman, who said to his wife, “Wow, look at that boat!” In response, his wife turned towards: “Yes, it looks like the big schooner we saw last summer, remember?” Alternatively, she could have turned away (continue reading her magazine without looking up) or turned against (“Don’t bother me. I’m trying to read”). Here’s what’s mind-blowing. If a comment as everyday, ordinary, and mundane as “Wow, look at that boat!” is an emotional bid, it immediately becomes clear that we’re making such bids all the time, and without thinking of them as such. We’re bid-making machines. This brings us to an especially key Gottman idea: If our partner constantly responds to our bids by turning away or against, we’re going to stop making them. We stop being bid-making machines. We’ll disengage, lose much of our ability to give our partner the benefit of the doubt, and feel lonely. What we hope, of course, is that enough of the time we find ourselves wanting to make bids and wanting to respond positively to our partner’s bids. What’s appealing about the notions of repair and emotional bids is that they direct attention to the fine grain of what happens moment-to-moment in a relationship. Partners repeatedly get caught in fighting and withdrawing and need ways to extricate themselves. 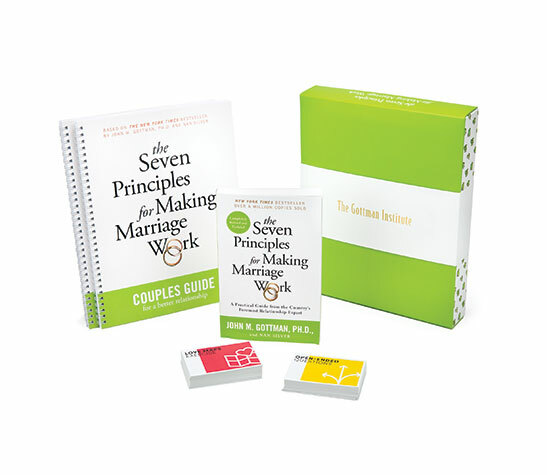 Gottman provides the tools to do so. In Collaborative Couple Therapy (CCT), I talk about how to have the conversation needed to shift partners from treating one another as enemies or strangers to treating one another as allies—in Gottman language, from turning against or away to turning towards. The big task in a relationship is finding ever better ways to shift from fighting or withdrawing to intimate relating by making effective repair attempts and dealing with the aftermath of a fight or regrettable incident. You can see why I’m so fond of Gottman’s concepts of emotional bids and repair. So, yes, talk to people about the Four Horsemen and the magic ratio. But talk to them about repair and emotional bids, too. Dan practices in Oakland, California. He has forty years of experience as a couples therapist, gives workshops throughout the country on Collaborative Couple Therapy, and has authored three books and numerous articles on couples therapy and psychotherapeutic theory. Visit his website to learn more.